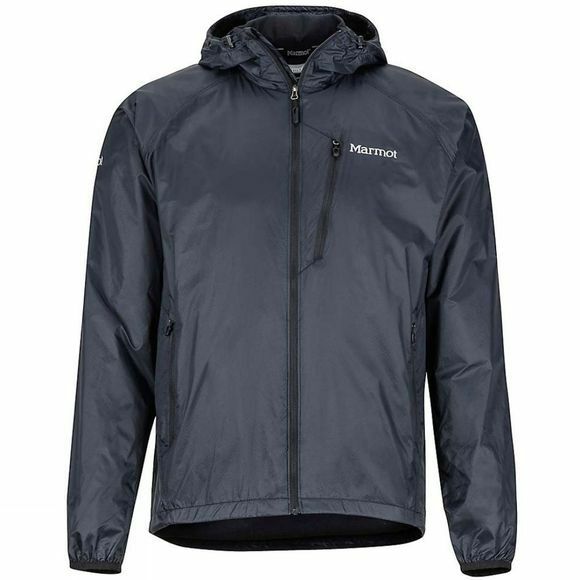 The Mens Ether DriClime Hoody from Marmot is a versatile shell that can handle it all–wind, rain or intense activity. 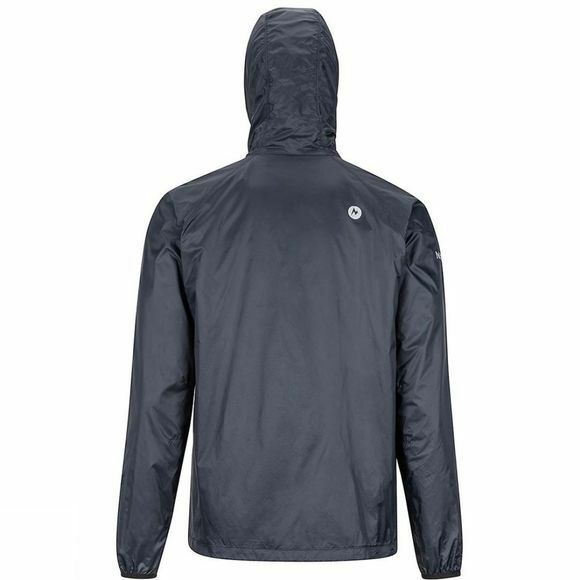 This wind-resistant and water-repellent shell will keep you dry, warm, and comfortable. The DriClime Bi-Component lining wicks away sweat. Mesh underarm vents improve airflow so you stay cool even when the intensity of your adventure picks up. This shell also packs into its own pocket to conserve pack space. 360-degree reflectivity provides visibility and safety.